While there are plenty of ways to reduce your carbon footprint at home, it’s a bit more challenging when you’re on vacation. 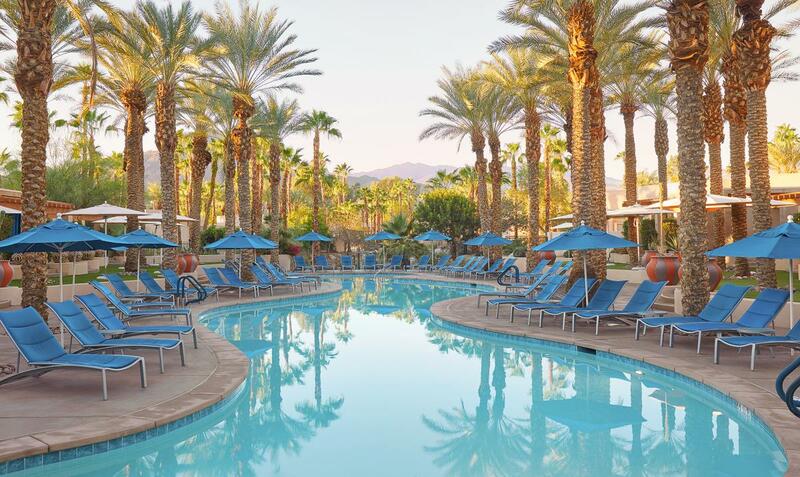 Fortunately, more and more hotels are prioritizing environmentally-friendly initiatives these days, some of which are right here in Greater Palm Springs. 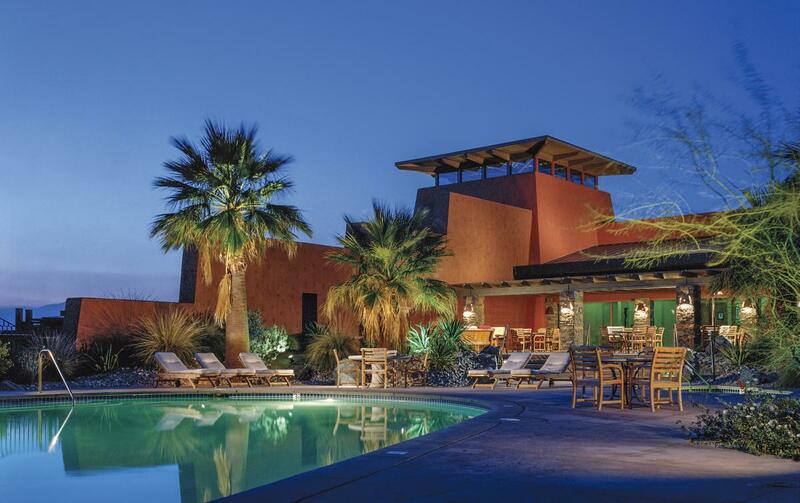 Two Bunch Palms became the first carbon-neutral resort in the United States, and from renewable energy to their water system, the property is a shining example of how to mix travel and sustainability. 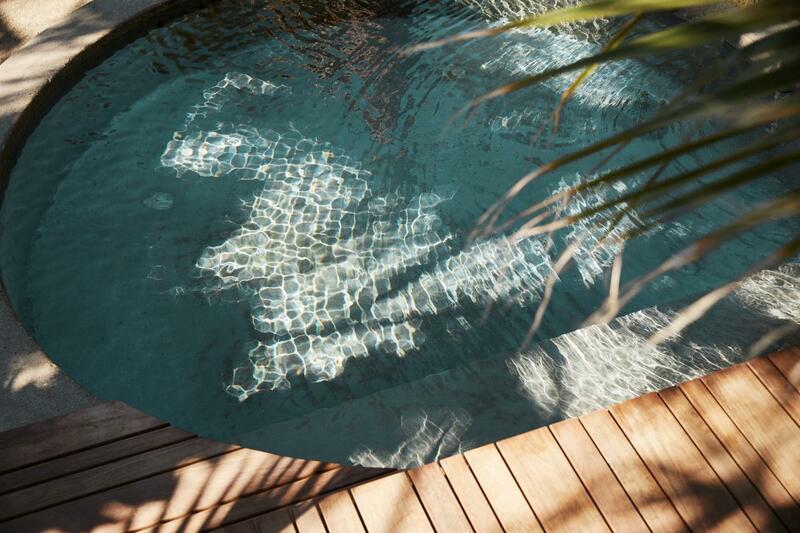 The hotel features 70 rooms, a restaurant and a spa, and it runs entirely on solar power. As far as their renowned mineral pools (pictured above), those are fed from two wells; one with hot water coming up from the ground at 152 degrees, and another with cooler water that comes up at 85-90 degrees. The waters are mixed in a looped system, which provides hot spring mineral waters for all the tubs and pools via a fully sustainable closed water circuit. The property has a retention pond where hot water run off and grey water can be put through reverse osmosis, flowing back into the irrigation system. Essense, the onsite restaurant, uses locally sourced meats and produce, plus the fruit and olive trees on the property. The hotel also offers a number of wellness courses, including a series in development on how to live a zero waste life. 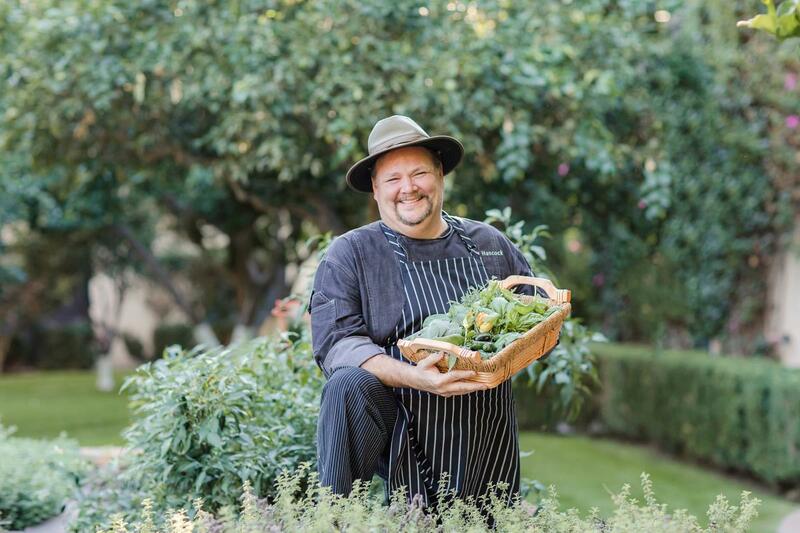 When it comes to everyday sustainability, Miramonte carefully tracks energy use and each time guests decline housekeeping services, they earn a $5 credit to use for spa treatments and meals. But their real success is the onsite Citrus & Palm Restaurant, which uses a mix of produce grown on site in the citrus and herb garden, plus food sourced from local farmers. Chef Paul Hancock whips up signature dishes like stir fried green beans with crispy pancetta, basil and mint at this farm to table eatery, which also offers smoothies, unique cocktails and lighter fare. Lavender lemonade is a hit on hotter days, and guests can grab a table in the shade next to the garden to relax. 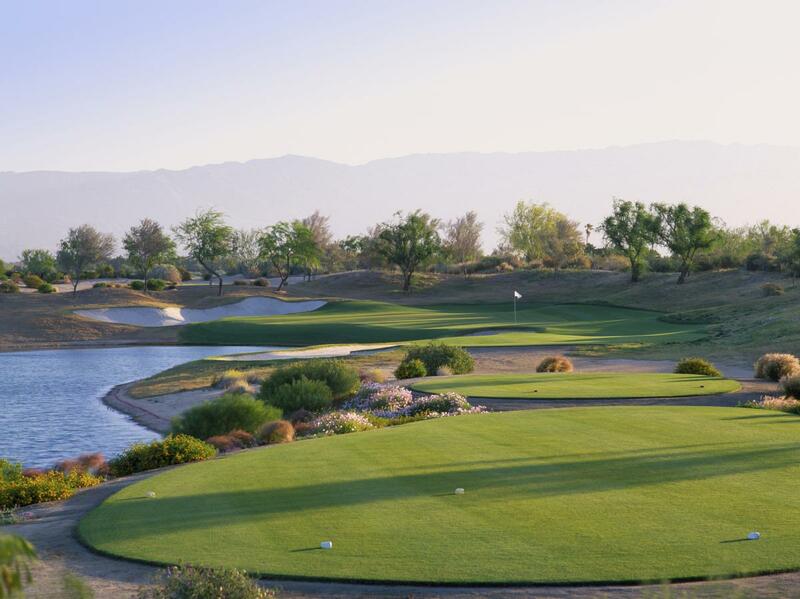 When it comes to green golf courses, La Quinta Resort and Club is the reigning champ in Greater Palm Springs, with Audubon International Certification on all nine courses at the resort, PGA WEST and Citrus Club. The resort has a composting machine that converts all leftover food into mulch, and all grass at the resort and golf courses is composted as well. Additionally, filtered water runoff from composting machines is used for irrigation and filling up golf cart batteries, and they utilize greener slow release and foliar fertilizers. As a big bonus for the pet lovers out there, the resort also donates all old furnishings, linens, curtains and dishware to local animal shelters. When it comes to bathroom and cleaning products that are kinder to the environment, the Westin Mission Hills Golf Resort and Spa has switched to biodegradable laundry detergents and organic skin and body care lines. On top of that, the property has integrated energy saving appliances and LED lights in all of their rooms to conserve as much energy as possible. As far as green golf courses, eliminating grass altogether is one way to save water, which is exactly what the Hyatt Regency Indian Wells has done by installing artificial turf. The property also composts all organic waste, which can be used as soil on farms, schools, or neighboring golf courses, and they donate soap and other items to countries in need via the Clean the World hospitality recycling program. 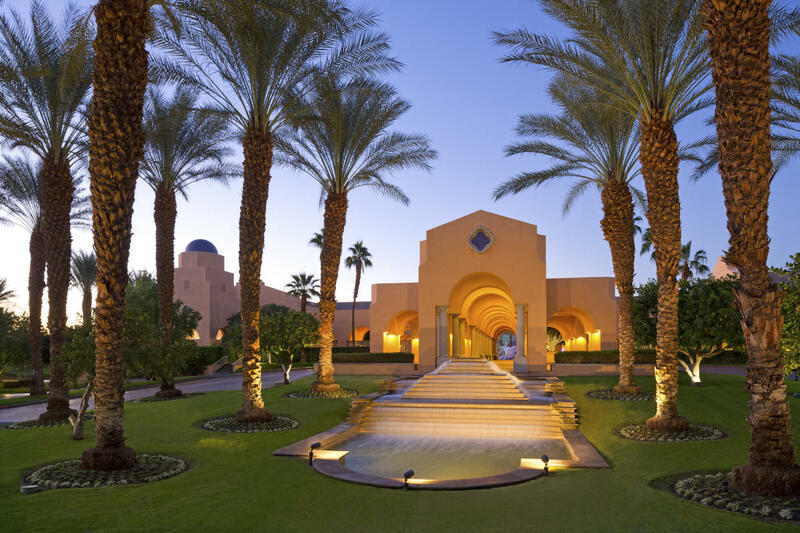 In addition to LED lighting throughout the property and energy-saving motion sensor thermostats, Embarc Palm Desert has also switched to tankless water heaters, further reducing gas and electricity usage. As far as minimizing plastic waste, the hotel has installed refillable shower amenity dispensers, which saves thousands of bottles each year. Though a good portion of the property features desert landscaping (read: rocks and cacti), any areas with grass are watered with a sensor monitored irrigation system, which prevents sprinklers from running in the rain or if temperatures drop below a set number.